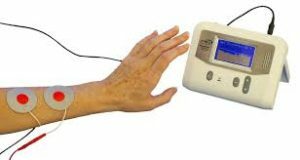 Listed below are 5 EMG-Triggered, or biofeedback-triggered, electrical stimulation devices that are currently available on the market. The Saebo MyoTrac Infiniti is a comprehensive, portable biofeedback electrical stimulation system designed for orthopedic and neurological patients. 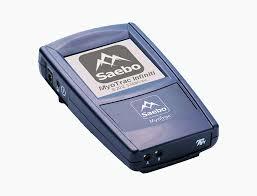 What makes the Saebo MyoTrac Infiniti so unique is the biofeedback triggered stimulation programs using reciprocal EMG-triggered stimulation (RETS) along with the revolutionary foot drop technology. The device delivers stimulation to the targeted muscles based on the client’s very own EMG signal. This all-in-one clinical treatment provides the total body solution like no other. The NeuroTrac Myo Plus 4 was designed with physiotherapists in mind; to be used as a portable tool. But also suitable for personal trainers for in-clinic or home use (under guidance). 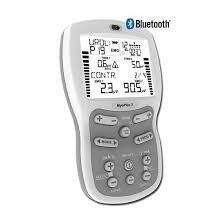 The NeuroTrac Myo Plus 4 also has a multilingual LCD screen and voice prompts for Biofeedback and now with Bluetooth connectivity! NeuroMove works by detecting the attempts to move a muscle group sent from the brain. These attempts are shown in the display as significant increases in the signal over regular muscle activity. The built-in microprocessor intelligently distinguishes between regular muscle activity, muscle tone, noise and real attempts in the EMG. When a real attempt is detected, the unit “rewards” the patient with a few seconds of muscle contraction, where the visual and sensory feedback serves as an important element in relearning the movement. This is similar to the well known learning technique of “Pavlov’s Dog”. Mentamove is a therapy for relearning voluntary movements after paralysis, which are lost due to lesion in Central Nervous Structure. Mentamove gives the stimulation only when subject thinks of an activity, without actually doing it. Imagination of an activity before performing helps brain to learn the movement. FES, Biofeedback or normal stimulators work only on muscles without involving the mental activity. The Biomove 3000 is an easy-to-use home training system for rehabilitation of paralyzed arm or leg muscles after a stroke. The Biomove 3000 system is used for stroke rehabilitation by muscle re-education. It works by detecting the EMG signals still left in muscles and triggering muscle movement. In practice this means that when working with the Biomove, patients must try to make a movement which then gets picked up and amplified, and only then will they be rewarded with electrical stimulation.